Many police have forgotten their oaths of office, but they are sworn to uphold the Constitution and defend our civil rights, not to keep us safe. Whether they remember their oath or not, they are not under the control of the federal government. For that reason they are an critical bulwark against a tyrannical federal government. Their job is not just to protect us from criminals, but to make sure we are able exercise our constitutional rights. The police and sheriffs departments are under the control of municipal and county governments. If a tyrant wants to control the population or start a revolution, he needs the local police forces to be intimidated and shunted aside, if not co-opted, as a first step. This appears to be the reason that Obama, his minions and revolutionary allies are inciting domestic terrorist attacks against the police. They are doing it in a subtle way so that responsibility for the attacks cannot be traced back to them directly. Of course, the blame will not be traceable to Obama, either, who will attempt to maintain his desired role as a saint in this affair. Future cop killers do not have to be black, they can also be brown and white extremists. The cops that they murder do not have to be white, either. They want to intimidate the cops, no matter what color their skin may be. If it comes to the point that the police can not handle a local emergency, then the next step is to call in the national guard to maintain order. The national guard used to be under the complete control of the state governors. However, the law was conveniently changed just before Obama took office during the Bush administration in 2007, using the poor response to Katrina as justification. Now, the law allows Obama in an emergency to assume command of the National Guard, without permission of the state governor or legislature. 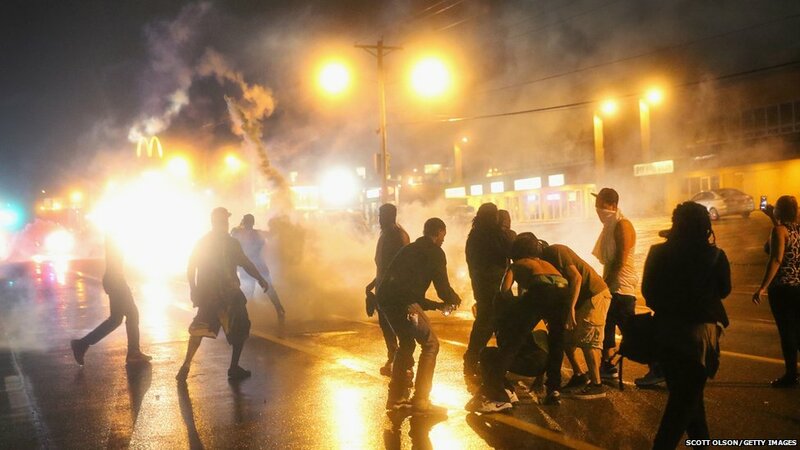 Such an emergency, where Obama can assert his military control in local areas, appears to be exactly what Obama and his minions are trying to provoke by inciting civil disturbances and violence against local police. This is a time to remain vigilant and to support your local police forces. The takeover attempt by the Dictator may already have started.